. 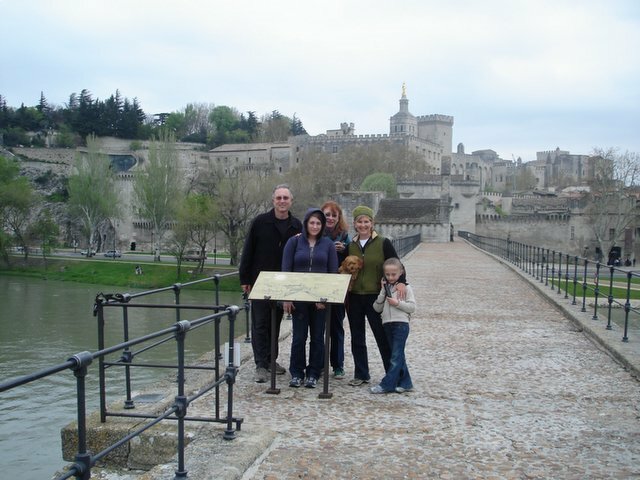 On Sunday when we went to Avignon it was a bit drizzly and cool as you can see whereas the day before was a bright sunnyday. 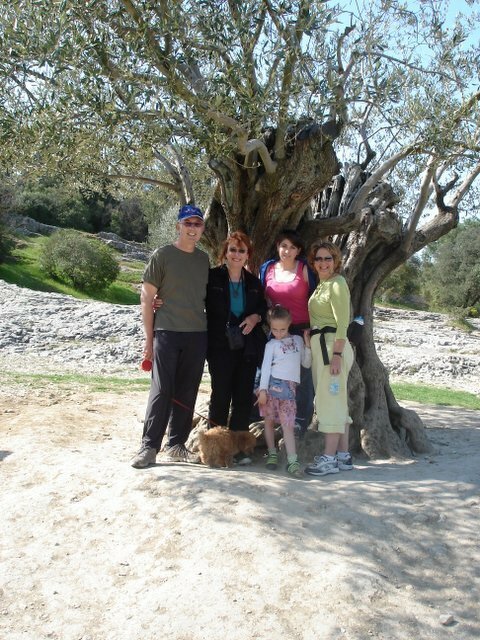 Here we are on Saturday on a hike to Pont du Gard where we stand under an olive tree that was planted in 932. A thousand year old tree is unbelieveable. We saw one for sale later that day in a nursery for 1,500 Euro. If anyone is interested in a grand olive tree, this is the place to come and buy one. 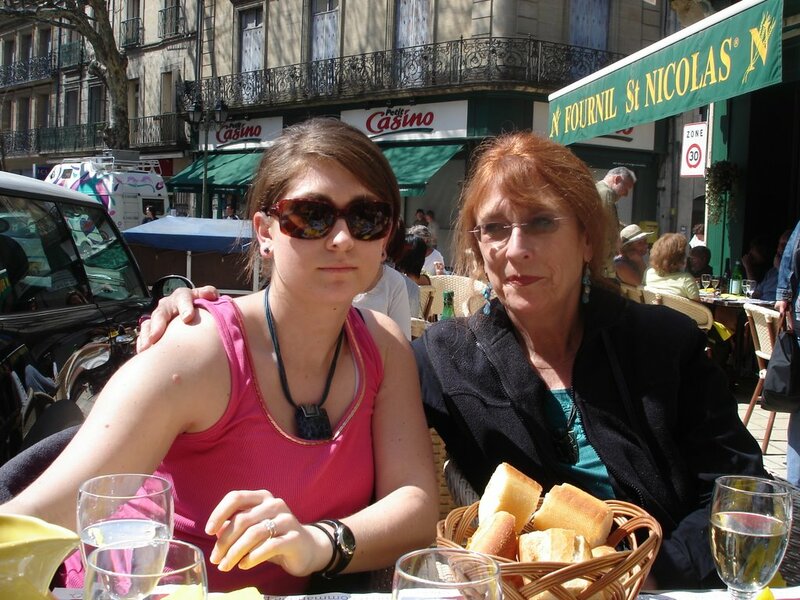 As you probably noticed in the photos, Pantoufle is with us everywhere. She was however was turned away from going into a movie theatre.. Hey we thought we would try.. what can I say.